It’s a very common nature of the people of India to make a price comparison of whatever they want to buy or even at the time of availing a service like moving and packing. They love to spend time roaming from one shop to the other, from one service provider to the other to research on the prices which are charged by them. If they find the one who is ready to offer it at the lowest price they consider it as the best and things remain the same when it comes to Packers and movers charges. We cannot deny the fact that this is one of the best methods to get the right price quote, but we will not agree on the point that low price means the best service. To offer you service at a low price a Packers and movers in Delhi need to compromise in costing in different steps and that the reason they gave you a low price. If your budget is low for shifting then there is no other option left for you to accommodate with averagely priced packers and movers. Even in the case when you want to go for an important item say a TV, we are sure you will check the features of it with other brand television and will pick the one which as per your requirement is best and suits your budget well. We need to agree that without comparison it is really difficult to find the best for you. It’s a good habit and one must follow subject to the fact he or she is aware of what are the features which you need to check at the time of finding the best packers and movers. 2) Reputation in the industry: Being a reputed company of the industry always gives such packers and movers in Noida to get large numbers of consignments at a time. To serve better to all customers they need more man power and new technologies for prompt and fast movement. Such reasons actually ask for a higher Packers and movers charges. If you want to get served by the best company then you need to be ready for a payment which they want to serve you. 3) Distance to be covered: You may ask for domestic movement or event for a local movement. In both the cases, kms to be covered differs in a great way. Keeping this point in find you need to compare Packers and movers charges. 4) Use of packing material: We are sure as whatever be the items which you want to move you will prefer to get that delivered to a new location in a complete undamaged condition. Packing materials play a very responsible role towards deciding the security of the items. So a company using high-quality packing material will surely charge you expensive Packers and movers charges. If you are ready to compromise with the damage of your items in transit then you are welcome to hire services of low priced Packers and movers in Delhi in the market. 5) The volume of things to be moved: More a number of items more will be the charges for making the move. If you expect to more 100 items at a cost 25 items then you are work. Aside to this Packers and movers charges may vary depending on the delicacy of the items which are supposed to be moved. The above are some of the vital things which you need to consider at the time of making a comparison of Packers and movers charges. If there is any other question which you want to ask the service provider then you can feel free to ask. Reputed packers and movers will not mind answering you. There are 2-3 ways which you can try to find the best service providers for you and we are going to share few with you. At times when you speak to different packers and movers in DELHI companies and share same requirements, costs will vary. Different company’s use N numbers if packing materials and come with the different process of handling. If you have time in your hand then try to make negotiations with the reputed companies and at times they consider the clients request and offer budget friendly rates. 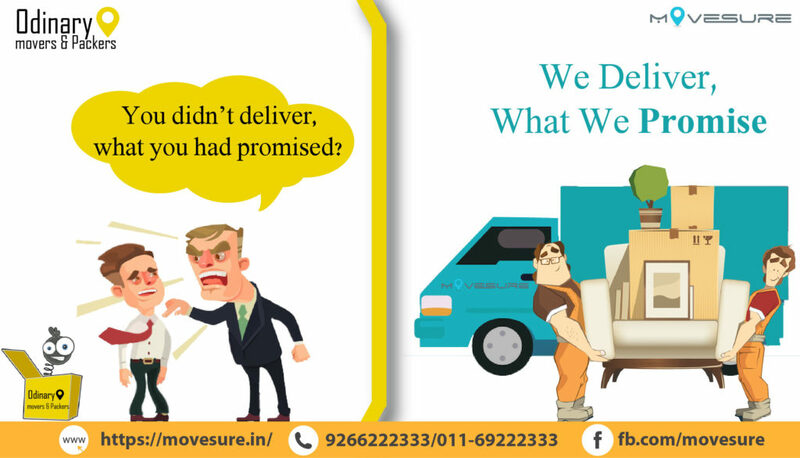 We need to thank the world of Internet as it made it easy for all to find the Packers and movers charges just with few click of the mouse and that too spending negligible time over the net. You can try out the rate comparison website to get an idea about the tentative costs which you need to bear in making a move in your decided location within or near to Delhi and its adjoining areas and all over India too. You can find a variation of 20-30% in cost among various relocation companies. So based on your budget and need to select the company offering best Packers and movers charges for you. Previous Previous post: How to hire Best packers and movers in Delhi for your home shifting needs?